WIN a pair of men's or women's sunglasses* and a pair of spectacles* of your choice, to the value of £500! With sunglasses and spectacles designed at their St.Leonards-on-Sea headquarters, RockOptika Ltd are one of the world's most revered and creative independent eyewear companies. 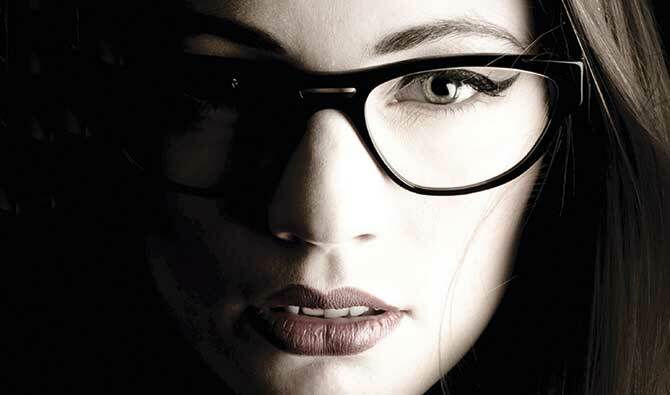 RockOptika was founded in 2010 by eyewear designer Thomas Herrington. Since its inception five years ago 'Rocks' unique styling and genuine handmade finish has propelled this independent British label's sunglasses and spectacles to cult status; worn by rock stars, actors and the discerning general public from London to Sydney and anywhere cool in between. Core to the brand's success is a genuine attention to authenticity and the outright quality of the finished product. Thomas Herrington draws inspiration from an eclectic blend of sci-fi, classic automobilia, modernist architecture, musical movements and glam vintage sunnies. The manufacturer, based in RhÃ´ne-Alps, France is one of the world's finest producers of luxury handmade eyewear. The process takes three weeks of cutting, filing, tumbling, polishing and assembling by a team of three highly skilled artisans. Using the finest Italian acetates and old-fashioned pinned joints, a RockOptika frame is truly going to last and look fantastic for years. A real inheritance piece. RockOptika supply their products to the best independent opticians in the Weald, and those who cannot make it down to the St. Leonards-on-Sea shop should visit Linda Pope Opticians in Hawkhurst, Leslie Warren in Sevenoaks, and shortly Peepers in Tunbridge Wells, to try on and view the best in luxury eyewear. Find out more at www.rockoptika.com. In which coastal town are RockOptika's glasses designed? Enter your answer with your contact details below or post to: The RockOptika Competition, Wealden Times, 21 Stone Street, Cranbrook, Kent TN17 3HF by 19 June 2015. *There is no cash alternative. All entrants' details will be passed on to RockOptika and Wealden Times Events. Please let us know if you do not wish your details to be passed on.